Safety is an important factor in barn management, you have to protect your horses from getting hurt from accidents inside the barn. 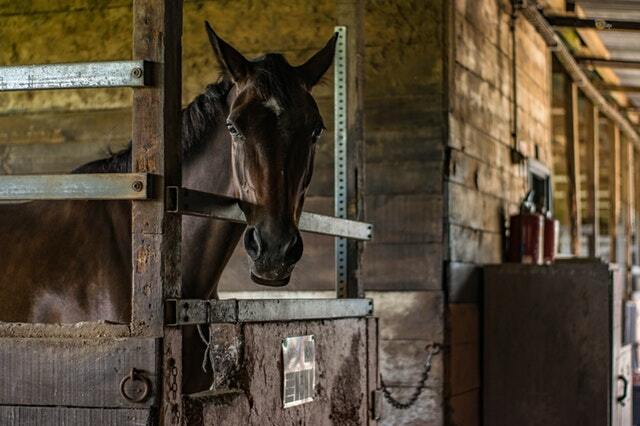 These simple tips to make your horse barn safer can help you take good care of your horse and barn. Horses are strong animals and they remain idle in the stalls for long periods of time. They might kick the stall, chew through the wood and get hurt from sharp edges. If your stall is not sturdy enough, horses will kick through the walls. Thick lumber of hardwood is the best way to protect the stalls. Metal walls of at least five feet height should be lined with wood to avoid any wreckages. The wood chewing can be prevented by capping the board with angle irons and make sure the ends are hidden. Sharp edges and protruding corners should be covered to prevent your horse from getting hurt. from chewing and kicking, this will help you to avert any future accidents to happen. Horses are known for causing self-harm, so do not give them a chance to get hurt. Clear any clutters and blocks for smooth passage in the aisle. Clutters in barns can make someone trip and fall over, this might spook your horse and such situations should be avoided. ground, preferably and not overhead in a loft since it increases the risk of fire. If you are storing it in an overhead loft, make sure your barn is well ventilated. Haystacks stored on the ground will stay dry if you are storing it overhead it will get heated up and cause molds from the wet hay. Mold in hay will cause a foul smell so periodically check the middle of the bale for wet hay and put them put in the sun to get dry. Overhead lofts will hold lots of hay dust that might cause respiratory disorders in your horse. 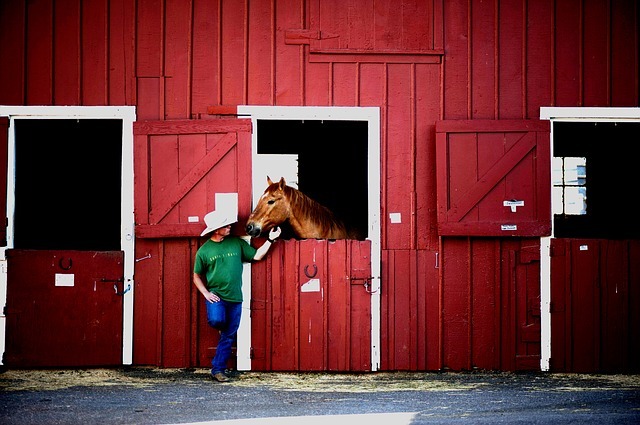 Safety and cleanliness go hand in hand in maintaining a horse barn. Clean your horse at regular intervals to keep him safe from diseases. Take out uneaten food periodically, it might have mold infections which might make your horse sick when he eats it. The spilled grains on the ground in your barn will attract rodents which will make it more unhealthy and unsafe, sweep out the grains from the ground. Dirty water in your barn will draw in insects, make sure water buckets are cleaned regularly to avoid insects. Your horse might not drink enough water if you aren’t keeping the bucket clean. Clean the stalls and bedding to avoid ammonia-induced lungs infection in your horse. Most importantly, keep your barn well ventilated the fresh air will remove the germs and stale air inside the barn. Even after making use of these tips to make your horse barn safer, you should plan for the worst case scenario. Prepare for any fire accidents and keep enough fire extinguishers in the barn. It is always a good strategy to have your local fire department to check the barn and locations for plans to avoid a fire. Smoke alarms can be installed in the barn and make sure they are working at all times. However, plan an exit strategy if a fire happens in the barn. You can discuss this with the fire department, write out the plan for future reference and annual drills. Thank you for visiting our site. We do our best to provide you with great information to help you with all things horses and other pets. If you happen to have any comments or questions please feel free to contact us. If you have any great horse or other pet stories we would love to hear them and you may post your stories here. We also ask that you visit our sponsor Grand Paws Pet Sitter if you search for cat sitter near me.